Seva Beauty’s fast-casual spa services can be performed in 15 minutes or less. Now people can look good, feel good, and spend more time on what’s truly important. Be part of the fast casual spa phenomenon ranked in Entrepreneur Magazine’s Top 100 Fastest Growing, Top 25 New, & Top 500 Franchise categories. SEVA Beauty’s unique franchise model empowers you with the options and flexibility you need to control your own destiny. Seva Beauty® is the pioneer of the fast-casual spa offering beauty services that can be performed in 15 minutes or less. The SEVA Advantage is a simple, manager-run business model that is graduated into, and doesn’t require spa-specific experience and offers the tools and training you need for success. Hover over a category to learn more. Access to a variety of venues and well-versed vendors to help you select the ideal location for your business. Learn more about what it takes to invest in your future today. The Seva Beauty® marketing programs create strong brand awareness and help build your customer base through multiple channels and resources. Grow your business following our Seva Beauty® protocols that promote quality and customer satisfaction. No experience? No problem! Our proprietary Seva University curriculum will train you to become a Seva Beauty® operator. Though the art of beauty is traditional, the technology we utilize in our Studios and for our Franchisees is cutting edge. Franchisee support that never ends. Webinars, coaching calls and more. This franchise business model provides a thrilling opportunity to bring Beauty to the People in all places. Join the beauty industry as the fast-casual spa evolution spreads nationwide. SEVA Beauty provides the flexibility to operate locations in a variety venues such as shopping malls, premium outlets, and more. SEVA Beauty Studios are open floor plans under 1500 square feet. Services are typically 15-minutes or less, highly recurring, and performed within the studio chairs. Complete the form below to receive our complimentary Franchise Brochure and begin your SEVA Beauty journey! "As an architect, I was worried about embarking on a business that was so far from my field of experience. As a new partner not only was I scheduled for weekly support calls but SEVA University had in-depth training to cover all of the basics and beyond. Together we have come up with success plans, which they follow up on to make sure they have worked. No other franchise takes their partner’s success so personally." "When looking for a franchise to invest in, one of my main goals was to find a company that not only had a high level of integrity, but that also mirrored my core values. Although I’m new to the system, through my training and experience so far, I have continuously been encouraged to treat my employees, customers, and business fairly and with respect." "When I looked at different franchises, I realized that SEVA offered the best return, the most company support, and a viable future. I am absolutely positive that this is a perfect example of how franchising allows people to achieve the American dream of business ownership!" Be Prom Wonderful! 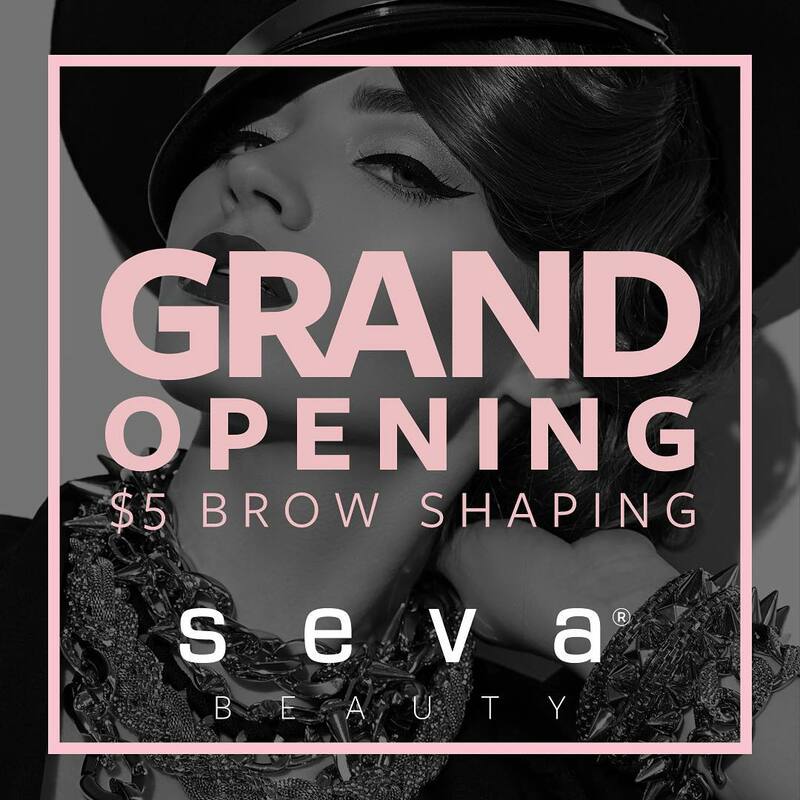 This month only, get Brow Shaping, Lash Extensions and Full Makeup Application for only $39 + Tax at your nearest #SevaBeauty! Makeup or not, you're beautiful, strong and unique. "Be Prom Wonderful! This month only, get Brow Shaping, Lash Extensions and Full Makeup Application for only $39 + Tax at your nearest #SevaBeauty! It's true: bold brows have more fun! 😉 Stop by your local #SevaBeauty to get a brow palette on a budget! Es cierto: ¡las cejas intensas se divierten más! 😉 ¡Pasa por tu #SevaBeauty para obtener una paleta de cejas sin salirte del presupuesto!